To give you a better understanding of what to look for when a potential client comes to you for advice, here is a review of common defendants in nursing home cases as well as typical causes of action brought against them. Attorneys handling Illinois nursing home cases should begin with the nursing home licensee itself when looking for culpable parties. This will normally be the setting for the incident. The nursing home might have had or still maintain control over the people involved in harming your client. Also, the nursing home will probably have the deepest pockets to pay damages incurred by the patient. Finally, to further incentivize you to name nursing homes as defendants in every case, the Illinois legislature actually mandates them to pay damages in these scenarios. Here is the pertinent language: “The licensee shall pay the actual damages and costs and attorney’s fees to a facility resident whose rights, as specified in Part 1 of Article II of this Act, are violated.” 210 ILCS 45/3-602. Do not forget that the actual people providing healthcare services to your client may be legally responsible as well. Some peremptory investigation should be made to discern the relationship between providers and the nursing home. The provider, such as a doctor, could be independent of the facility or could be one of its agents or employees. In either case, doctors owe patients a standard of care at all times during treatment and if they fall below that they can be held negligent if it causes the patient damages. Similarly, due to expanding zones of liability and increased roles and responsibilities, nurses can be responsible for nursing home injuries if they are found to be sufficiently responsible for what happened. 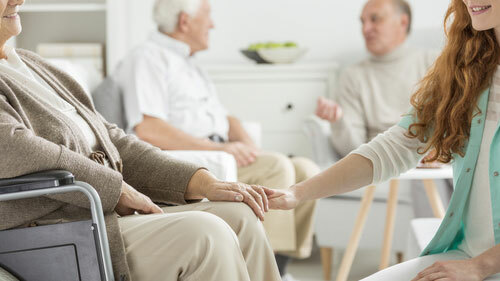 Because many actions against providers will involve negligence, instead of strict liability claims against nursing homes, it is important to review the specific circumstances of the incident to determine which parties may be liable and on what precise facts and the theories. These are just some providers that can be held responsible for your client’s injuries; it is important to identify all the parties that provided care so that a proper legal picture can be drawn. Another important dimension in your nursing home center lawsuit are parties involved but outside of the nursing home system. These could include vendors of medical devices, food, medications, and other related providers. To find possible liable persons or entities, investigate the circumstances of your client’s injuries then go back to its source. Find who supplied it, manufactured it, or otherwise put it in the vicinity of the patient. The theory of liability against this party could be sole or in combination with a nursing home or other medical provider. Also, it could arise out of negligence, strict liability, or other breaches. The important point is to consider all options and possibilities for recovery by mapping out all points of contacts that your client had.